iZotope Creative Flash Sale sale at Plugin Boutique with up to 81% off! 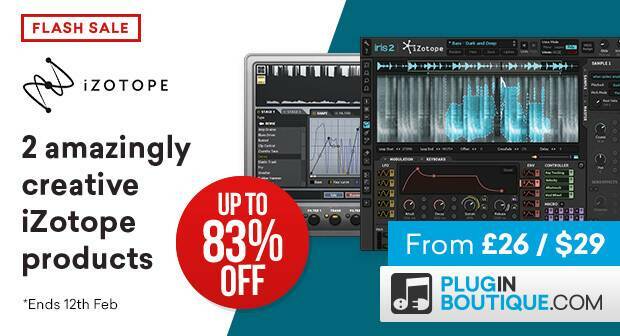 Save up to 83% off two of iZotope’s inspiring and creative tools. Iris 2 Spectral Synth & Trash 2 Mult-Band Distortion unit. Buy individually for only £26 / $29 or within the bundle for £45 / $49 this weekend only!